WASHINGTON (Oct. 18, 2013) -- The Army's Rapid Equipping Force plays such an important role in providing Soldiers with what they need to complete their mission that its commander is confident his organization will continue in one form or another even after budget cuts shrink the Army. "I think there is great support for the REF (Rapid Equipping Force) at the highest level of the Army," said Col. Steven Sliwa, director, Army Rapid Equipping Force, during a media event at Fort Belvoir, Oct. 16. "I have full faith I can continue on in this job and employ a workforce that is the REF that goes into the future." At Fort Belvoir, Va., the Army's Rapid Equipping Force has on display one of it's three "Expeditionary Laboratories," or Ex Labs. The other two are in Afghanistan, one within Regional Command-East, and one within Regional Command-South. In the past, the process for meeting Soldier operational demands was often not as quick as commanders would like. The Army's Rapid Equipping Force, or REF, was stood up in 2002, to fill that role -- to provide rapid solutions to problems Soldiers in Afghanistan encountered while conducting their mission. Such solutions can be developed in-house by REF engineers, and fielded quickly to Soldiers using commercial off-the-shelf or government-created technology. Despite budget cuts, and inevitable program and personnel cuts, Sliwa said he thinks the Army knows that the capability REF provides is something they will want to keep. "I think many have come to the conclusion that we cannot afford to not have the REF," he said. In 2002, when Soldiers first went into Afghanistan, the REF was responsible for getting some of the first robotics into theater in response to Soldier needs. Soldiers there were running into booby traps and explosives while searching and clearing caves. Within 30 days of receiving a request for a solution, the REF was able to field four robotic devices to Soldiers, allowing them to send a robot into the caves first to look around, before sending in troops. "It's small, advanced, easy enough for a Soldier to use without a whole lot of training, and something he can carry," Sliwa said of the "Pack Bot" solution the REF provided. "Who really wants to hear that somebody had to go into a cave to do something without a set of eyes going in there ahead of time?" Since then the REF has provided thousands of immediate or near immediate "rapid" solutions to equipment problems Soldiers encounter in the field. The REF operates out of Fort Belvoir, but it also have forward facilities in Afghanistan, permanently operating out of both Bagram Airfield and Kandahar Airfield. 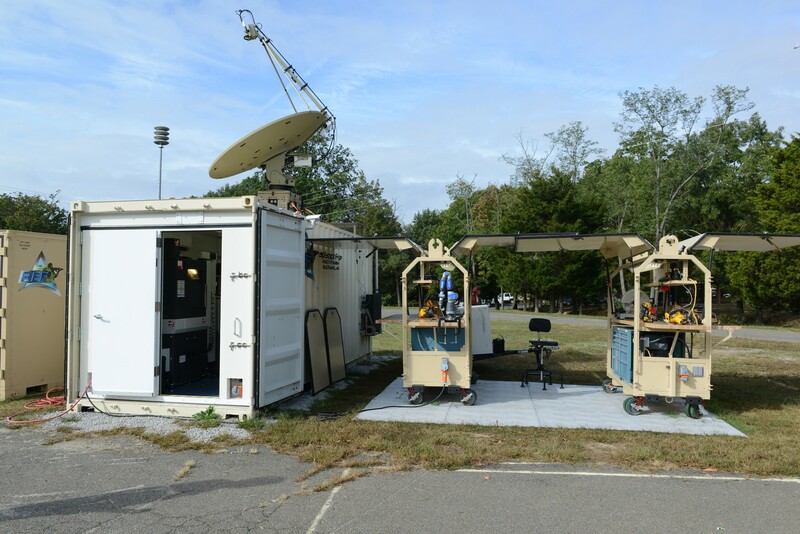 Last year, the REF also stood up three mobile laboratories that can solve many Soldier problems on location at the forward operating base from which they operate. The labs, built into metal shipping containers, can be packed up and moved to where they are needed most. 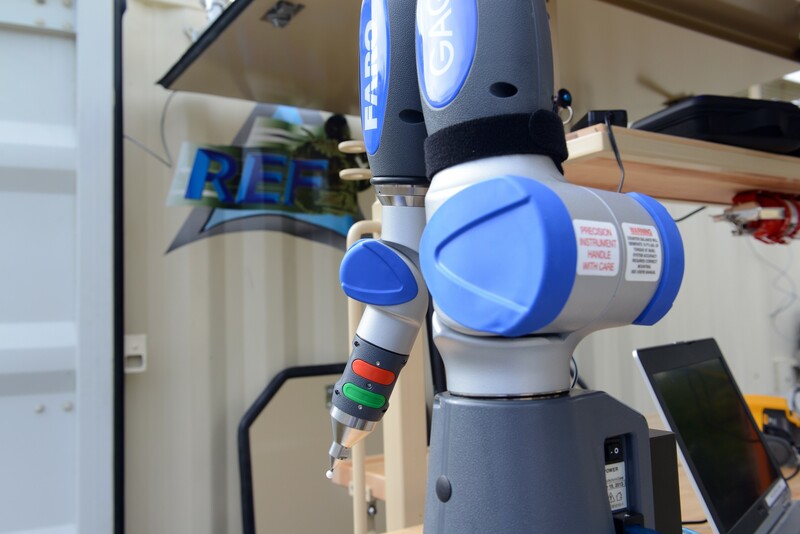 The mobile labs have the ability to rapidly prototype solutions for Soldiers out of both plastic and metal, using either 3D printers or a CNC milling machine. CNC stands for computer numerical control. Such a machine can take a chunk of metal and with a computer controlled router, carve the same part out of metal that the 3D printer made earlier out of plastic. Right now, one of the three "Expeditionary Laboratories," or Ex Labs, is located at REF headquarters in Virginia. The other two are in Afghanistan, one within Regional Command-East, and one within Regional Command-South. "The idea of the mobile lab is we bring the solutions to you," said Dr. Albert Vega, an engineer with REF. He was deployed to one of the labs in Afghanistan in June 2012, and returned in April. "With the idea of 'you have a problem, we have a solution' -- that whole iteration is so much faster if we do it right next to you," Vega said. "You just plop the lab where the need is." With the rapid prototyping capability of the lab, he said, solutions can be delivered to Soldiers in days or weeks instead of months. During his deployment to Afghanistan, Vega worked for a short time alongside Master Sgt. William Pascual, also with the REF. Each lab is staffed with two engineers, an operations advisor, and a non-commissioned officer, or NCO. The Ex Labs are staffed with an NCO, Sliwa said, to help facilitate better communication between the engineering staff and the Soldiers who need their help. "They can talk to the unit on their terms using their language as only NCOs can," Sliwa said. "They know the language as only NCOs and Soldiers can. They know the art of war, and they can relate to the requirements coming in." Pascual said that having both an engineer and an NCO on board means that problems can be seen from both an engineering perspective and a Soldier perspective. Having both perspectives means success, he said. "The camaraderie, the joining of the scientist and the NCO, is what makes the lab successful," he said. Since they've been deployed, the Ex Labs have provided multiple solutions to Soldiers, including the "X90 USB power supply," which allows Soldiers to charge standard USB devices using a common X90 military battery. The first of the tiny adapters was delivered to Soldiers within a week of their request. The REF engineers were able to develop the power supply through modification of commercial off-the-shelf technology. REF personnel in Ex Labs were also able to develop a cover to protect the valve stems on the tires of some military vehicles. Soldiers had found that in close-quarters, the valve stems were breaking after brushing up against obstacles -- that left them and their convoys stranded in enemy territory. Sgt. 1st Class Adam Asclipiadis, with REF, is another NCO who deployed with an Ex Lab. He said that within its mobile labs, the Army helped develop for Soldiers an adapter that allows them to power hand-held mine sweepers with the more common X90 battery instead of the included battery, which allows only 5-8 hours of operation during missions that last as long as 24 hours. "Before, patrols would have to stop until they could circulate these batteries from another unit and then continue the mission," Asclipiadis said. "It was a high-impact solution." Sliwa said the REF has a future. While Afghanistan will draw down, the Army will continue to operate in other locations around the world, and he said he thinks REF can be there to meet those needs. "When you think about it, REF has been that key gap filler to take on unique non-standard equipment not available in the Army system," Sliwa said. "It's tough for the Army to be ready for everything. From an equipment standpoint, you can't have everything on the shelf ready to go. Where the REF has been able to fill in is where we have unique challenges and we have been able to provide limited quantities of equipment for those unit challenges." With budget cuts, Sliwa said REF will get smaller, but probably won't disappear. He said a challenge will be retaining the ability to expand as needed -- likely with contractor support -- to meet the changing demands of the Army. "How do we expand and contract so that we are right sized, but able to grow to the size required to meet the demands of any operation? We don't want to lose the 12 years of lessons we've learned. We don't want to lose the 12 years of relationships we've built and the knowledge of industry and what is out there on the tech side. That would be tragic."